Silk charmeuse. Aahhhh. Just the thought of it brings me bliss. Is there anything as light as a feather, shimmery as a star, and fluid as a mountain stream? All wrapped up in one glorious fabric. Sometimes I look at the prices of clothes in the stores, and wonder "Why am I sewing?” But one touch of silk charmeuse and I remember. 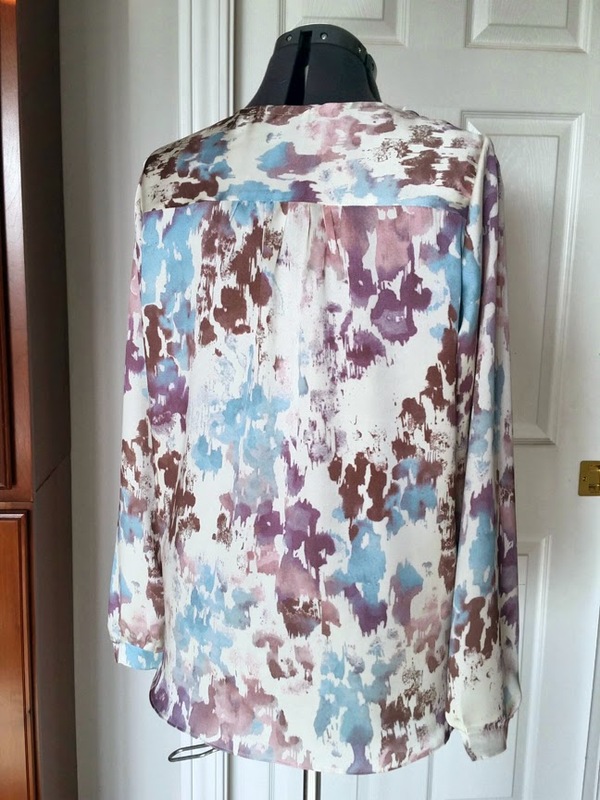 This is the stuff that you can't buy a top made from silk for less than $200, but you can make it for $50 or less. When I saw this stylized animal print silk charmeuse at Fabric Mart, I grabbed up 3 yards of it right away. 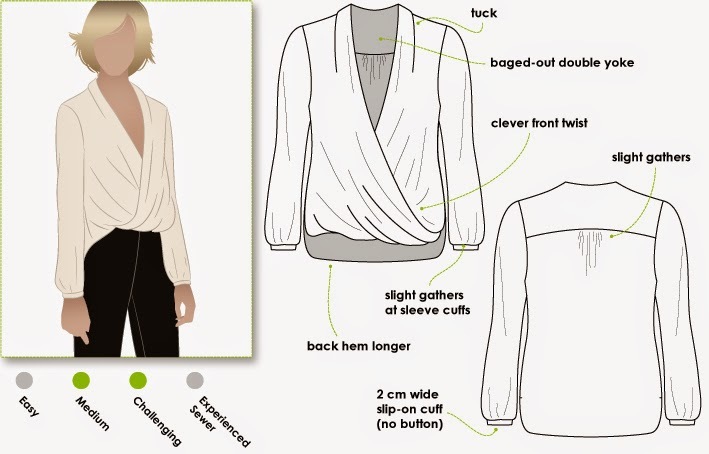 One of silk charmeuse's best qualities is its drapability, and I'd been looking for a fabric with fabulous drape to make a crossover draped front blouse pattern from Style Arc- the Dotty Blouse. 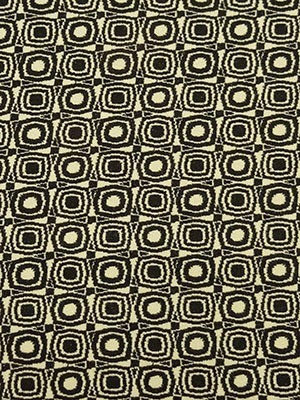 Dotty is really designed for a fabric that looks the same on both sides, as the pattern piece for the front is just one piece that flips at the hem. Since my fabric is different on the reverse, I decided to split the pattern piece into two at the hem level, add a seam allowance, and sew them together. Now, when it folds back on itself, you'll see the right side of the fabric. 2. Use fabric weights that have pins at the bottom of them to hold the pattern in place. These are by Olfa. I don't think they make them anymore, but if you ever see them at a garage sale or eBay, snap them up, as they work remarkably well! 3. Change the rotary cutter blade to a brand new super sharp one. Silk fibers are very strong, and if your blade is not 100% sharp, you'll end up with uncut fibers. 4. Cut firmly through all layers. And voila! You have a beautiful cut edge. 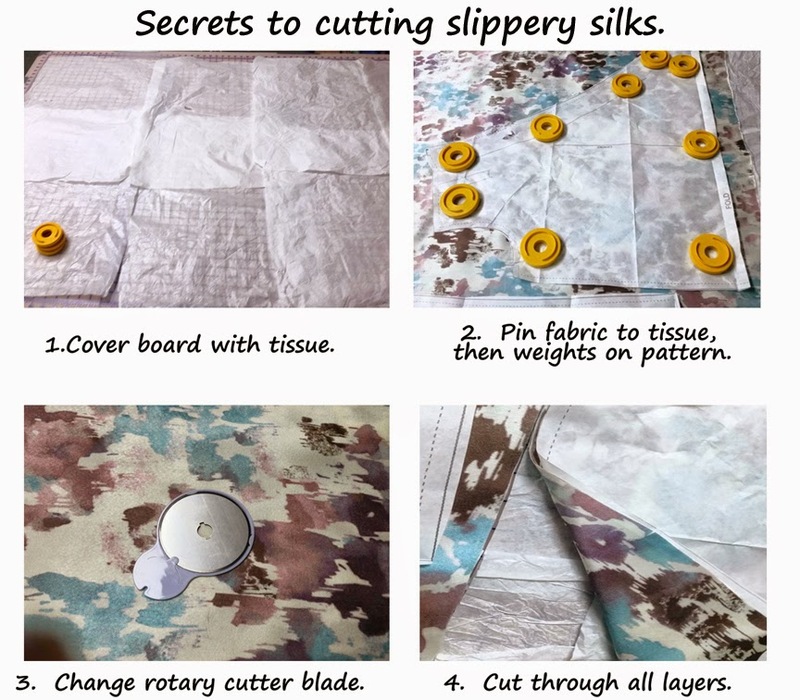 Hemming slippery silks can be a bit of a challenge. I hemmed the back bottom edge using a technique called the Baby Hem. 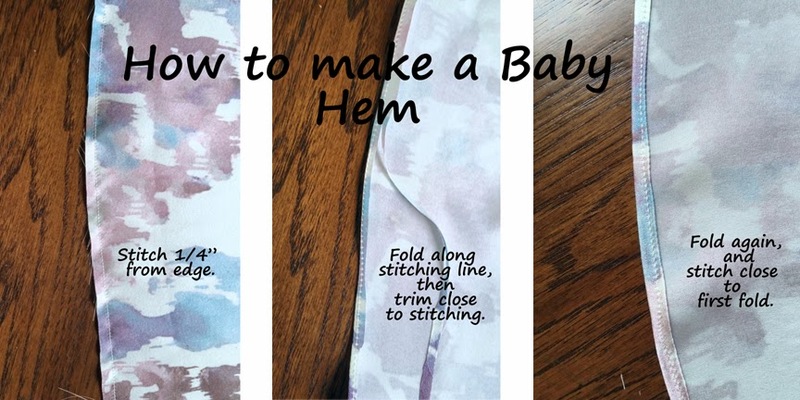 It's my favorite way to hem delicate and slippery fabrics. Since Dotty is so loose fitting, I needed something form-fitting on the bottom. I found this soft black and tan stretch denim at Fabric Mart to go with Burda 6879- a skinny pant with pockets and a back yoke. 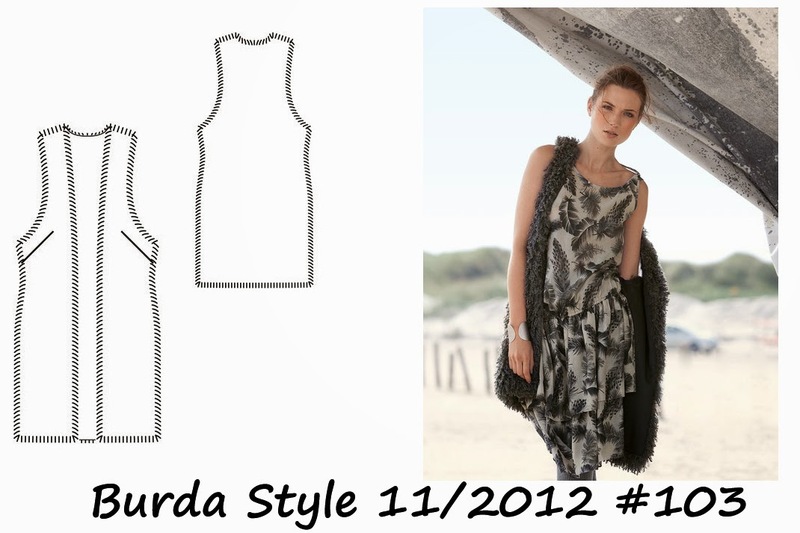 The faux fur vest is made from Burda Style pattern magazine issue 11/2012, #103. The vest is lined, and really quite warm. 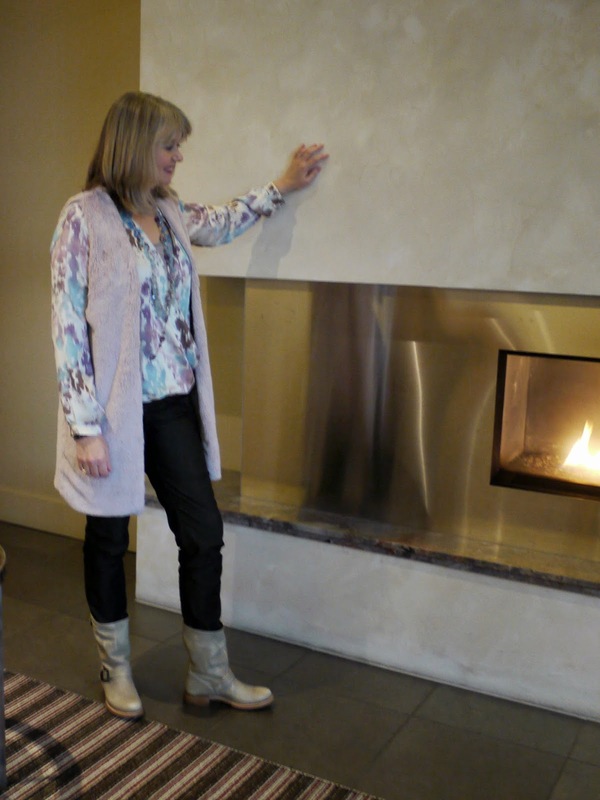 I bought the dusty pink faux fur from Fabric Mart a couple of years ago. It's super soft and fun to wear. 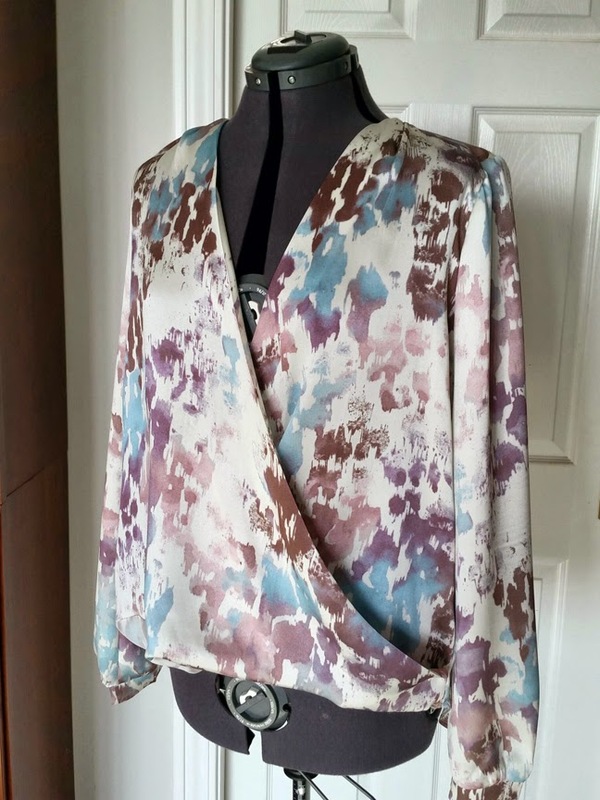 I love combining it with the silk draped blouse for a contrast in textures. 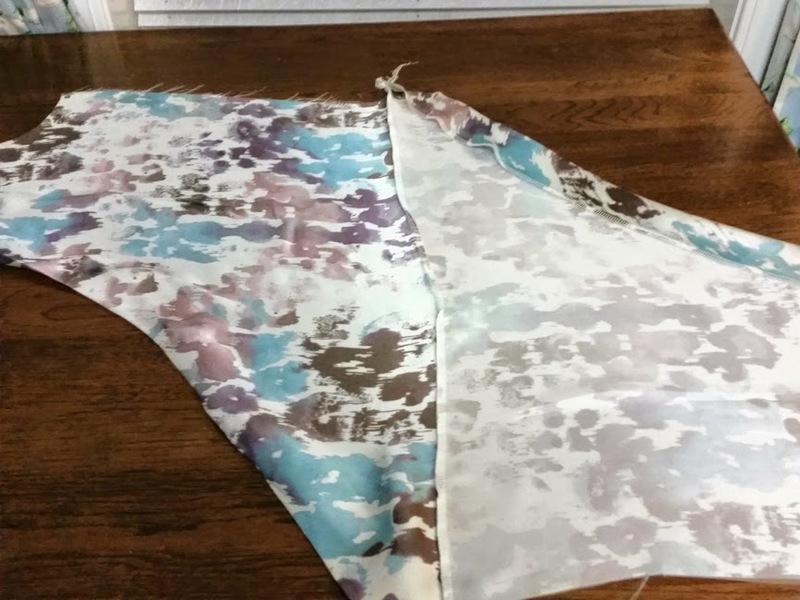 If you’ve been tempted by the silk sales at Fabric Mart, give some of these techniques a try, and you’ll find that sewing with silk is very rewarding. Happy Holidays Everyone!!! Stay warm, have fun, and have a wonderful New Year! Before I started, I did my usual hunting on the internet for information on the pattern so I could learn more about how to create it for myself, and I hit a goldmine because Ann Rowley, the winner of the Great British Sewing Bee (season one) had sewn up this jacket in a Linton tweed a while ago. She had so much information and photos in her flickr set that I knew I would be in good shape since I loved how hers had turned out. 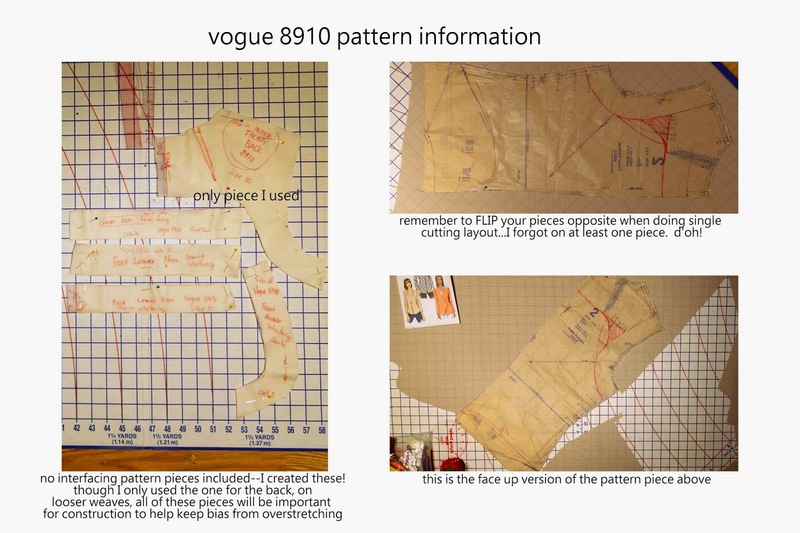 Her advice on this pattern and how to treat the fabric and lining made so much sense. The directions in the Vogue pattern are definitely lacking, especially graphically, and having her set was so helpful so I could visualize exactly what I needed to do to get the results she received. Overall I did follow her plan, but I did deviate a bit since my fabric choices were different from hers and required a bit different handling. But I definitely and highly recommend using her advice if you take on this pattern. Above you will see how I laid out the pattern on the striped suiting. I knew that I had to be careful so I could properly achieve the chevron effect I wanted from the Vogue pattern cover art, but because the stripes are fairly thin and monochromatic, I also knew that I didn't have to be as careful as I would have on a thicker, differently colored stripe. I had high hopes of starting this project in Mississippi over my Thanksgiving break, but in the end I decided to wait until I got home to my sewing machine. Though my mother-in-law's machine is fine, I really wanted to have the option of two things to make this jacket's construction easier--a straight stitch plate and a walking foot. These two items make working with thin fabrics and fabrics that must be precisely handled so much better. The walking foot is just amazing and really does help keep the fabric perfectly aligned when stitching up seams. In this case, I was able to precisely pin how I wanted the seams to look and most of the seams (where I could), I ended up with a cool chevron effect, just like the cover art of the pattern. The one thing I did notice, though, and this is not a bad thing, but it was something I had to work with, the suiting fabric definitely shows every ripple and wrinkle and though it presses easily, it also rumples easily. 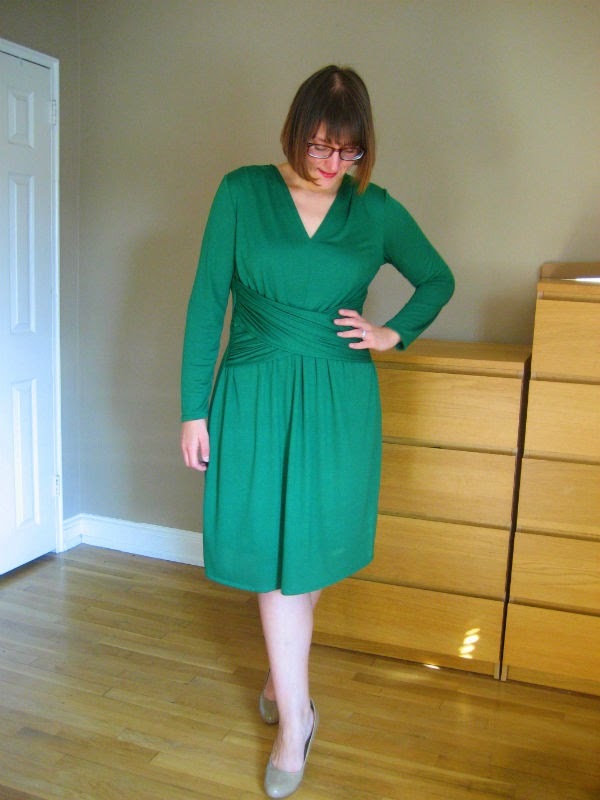 Because of this, I *knew* I had to very carefully set in the sleeves so as to avoid the possibility of even more wrinkling that has nothing to do with the fabric and more my sewing. 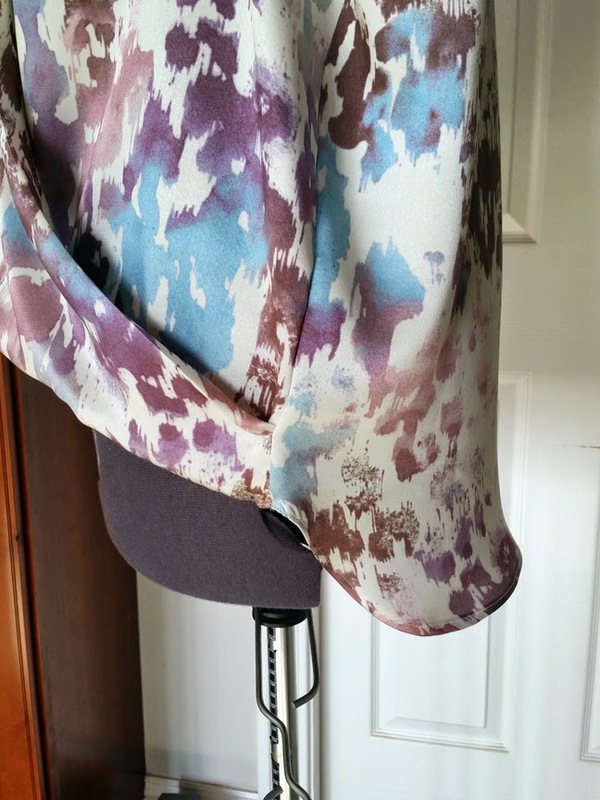 I know that the more pins you use (and pin in the stitching line--not above it--see this post for more on that), the better your sleeve will set in without any accidental folds or wrinkles. I tried it first with the lining fabric and it worked exactly as I wanted it. I will say I definitely ignored Vogue's directions here. 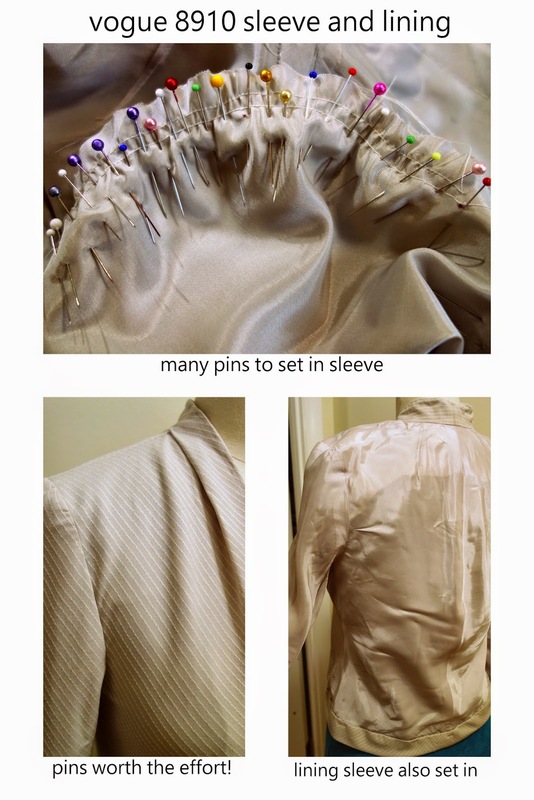 They wanted me to finish the bodice and lining BEFORE doing up the sleeves, but I knew I wanted to construct two separate jackets and then join them, so I set in four sleeves total (Vogue only sets in the fashion fabric, the lining sleeve is stitched by hand after). Also in regards to the shoulders and sleeves, I am still undecided about the use of shoulder pads. I have narrow shoulders, but they are squared, so while I am tempted to use them (it would probably help lift the upper bodice bit and prevent some residual fabric "frowns" that are there from my very flat chest), I am not sure I can make them work. I may just have to buy a pair and try it out. If it does help, I definitely can get those in after the fact. 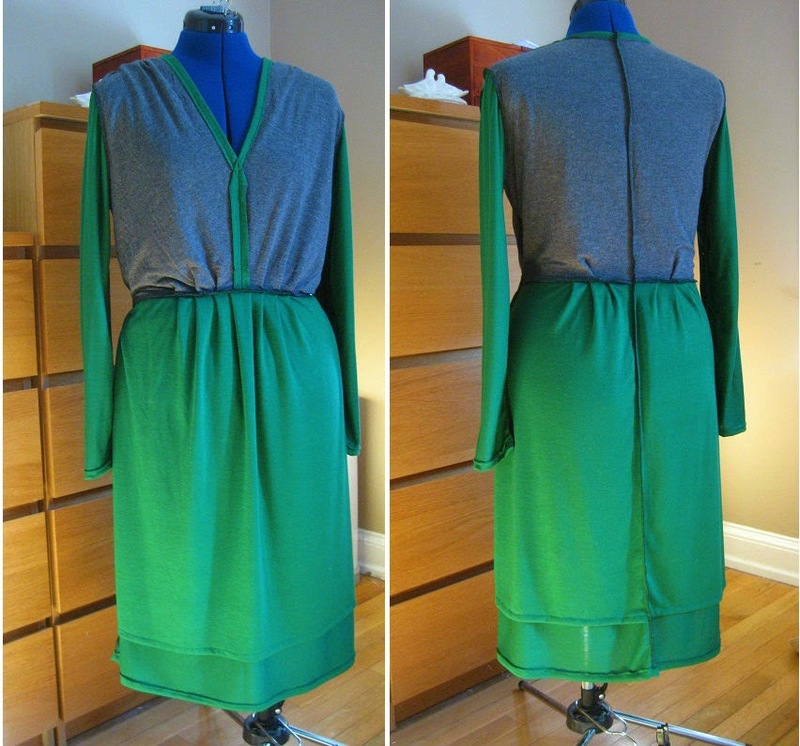 Once I finished the hems, I was able to place the jacket on my dress form and it was immensely satisfying to try the button on it, fiddle with it a bit, and see the nearly completed product. Upon returning home today I was able to press the jacket properly and wear it for the first time for real. 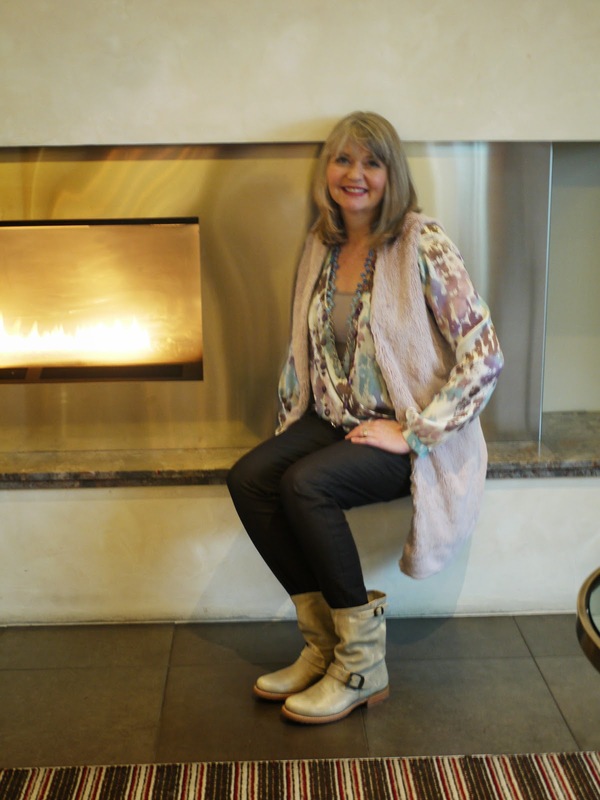 The outfit I am wearing it with is not my favorite, but I like this idea of a straight pair of pants, a sparkly top, and some boots. But I really can't wait until wear it with a dress, since I know this shorter silhouette will look really nice with a pretty knee-length dress or skirt. Overall I had a great time trying this project out. It really pushed me to try some cool things I never thought I would want to try. I am not normally a fan of bias cut garments (especially skirts--way too much of the 90s included me wearing that kind of skirt--shudder), but I do really love the way the bias cut allowed the stripes to become chevrons, and I must say the blazer is very comfortable and very drapey. I definitely loved practicing setting in sleeves, even if it took me FOREVER with all the pins and careful stitching. I also loved that hand-stitching the hems was relaxing and ended with hems that make me proud. I see that there are still many gorgeous striped wool suiting fabrics available at Fabric Mart. 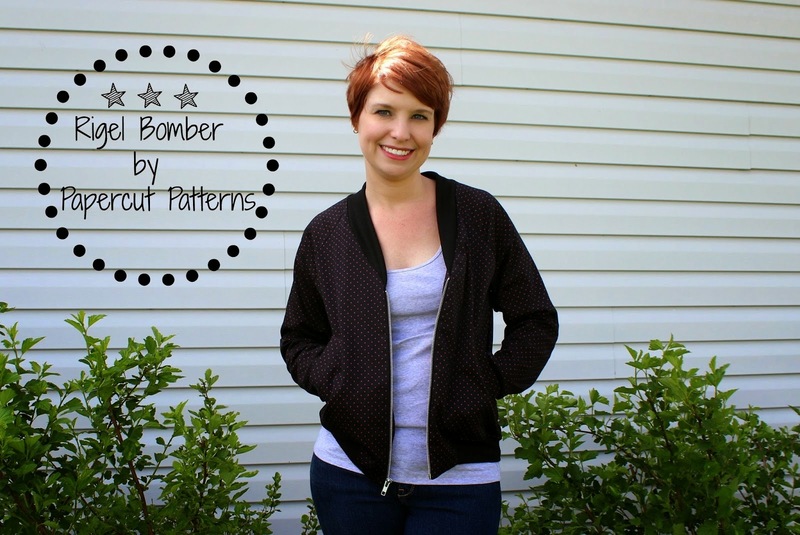 I would love to have others join me and make a version of this jacket from those gorgeous fabrics. I love the effect of the stripes becoming chevrons and definitely could see so many of those fabrics making some really cool patterns when shifted to the bias! For my first official post with Fabric Mart, I wanted to share with you my Denim Frenzy outfit. There is nothing more timeless than denim. With multiple styles, colors and weight, denim provides endless possibilities to your wardrobe! The denim used for this outfit is sold out now, but HERE are some other denims available. I used about 3.5 yards and am in love with the weight of this denim as well as the color. 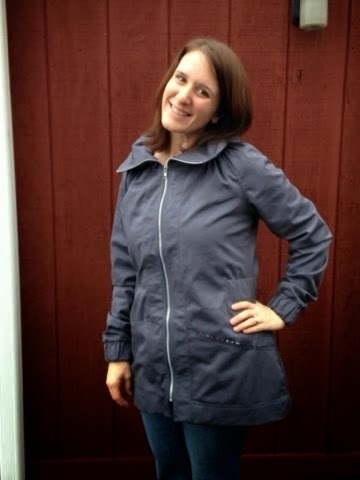 It sews like a dream and can be worn in both warm and cold weather. My shirt was constructed using Simplicity Pattern 2255. This garment was very easy to construct and from start to finish took my just under 2 hours. I often have issues finding a denim shirt that fits me correctly. This was my first attempt at creating my own and I will do so moving forward! I cut this pattern according to my bust size and used 5/8" buttons. No adjustments were made, but I think I will slim the sleeves on my next shirt. Now for the pants! I wanted to expand on my options for pants (I often draft my own). 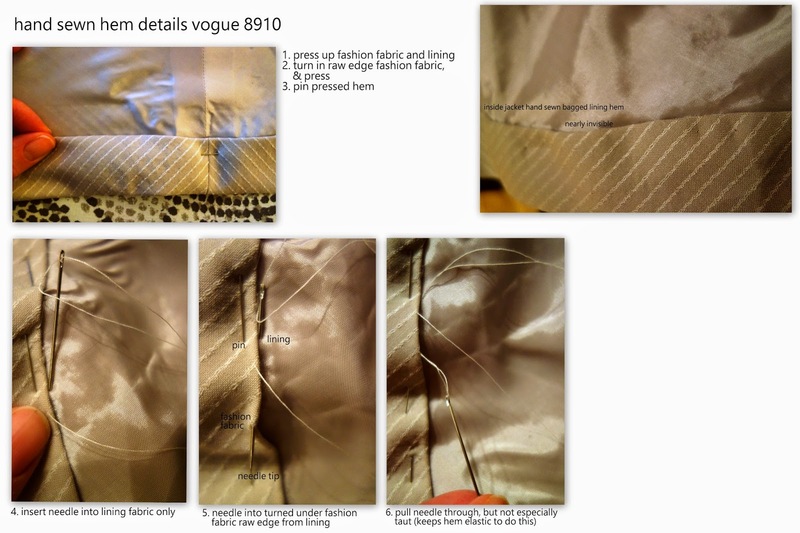 I have owned Vogue 1416 since it was released and purchased it specifically for the pants. I love the seamless waist and the welt pockets. 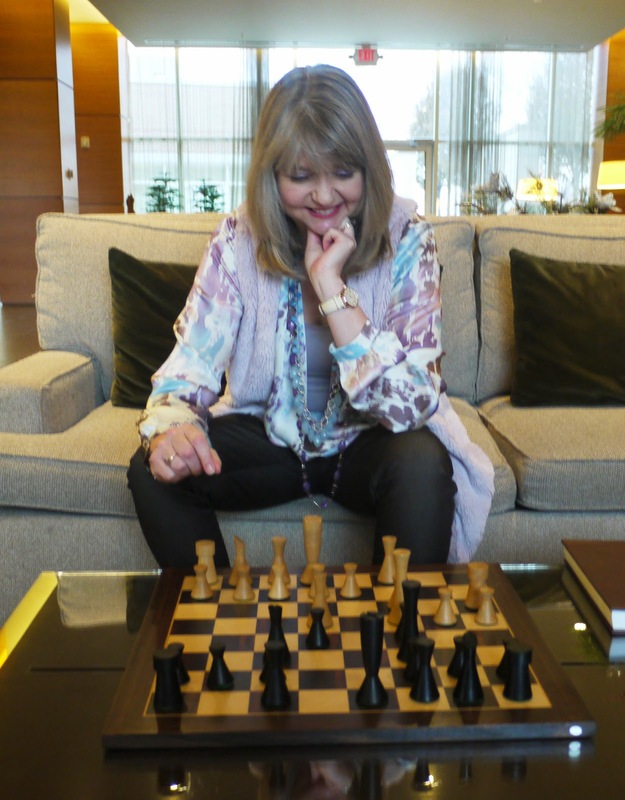 While welt pockets tend to be difficult for most, practice has proven beneficial for me. I did not agree with the method creating the welts as per the instructions as there are many resources on youtube which makes the process of adding these pockets fairly easy. None the less, I created a tutorial for the pants as per the pattern instructions to ensure they came out just right! 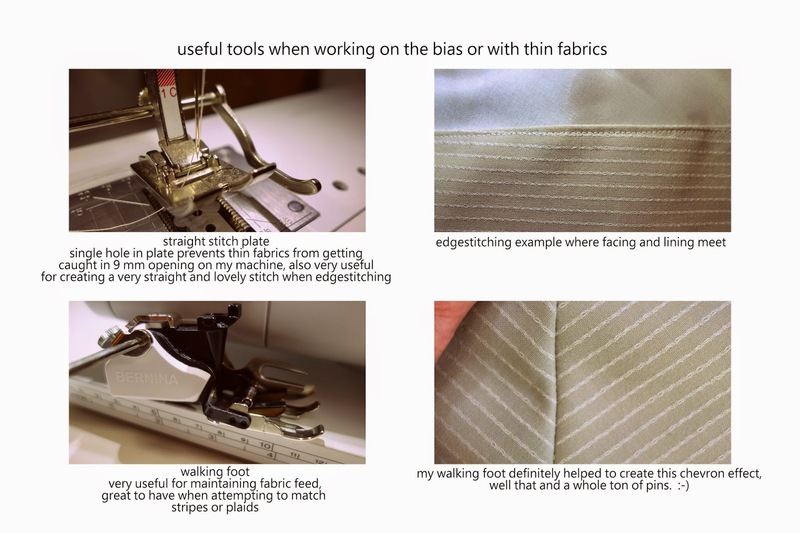 If you have never work with welt pockets, do your research and practice on scraps! I wore this outfit to my sewing group's meet up and everyone loved it. I find joy in getting compliments on my garments of which I follow up with "Thank you, I made it" woot woot! I hope you love this outfit as much as I do, I will definitely be using both patterns again. Until Next time..... MUAH! 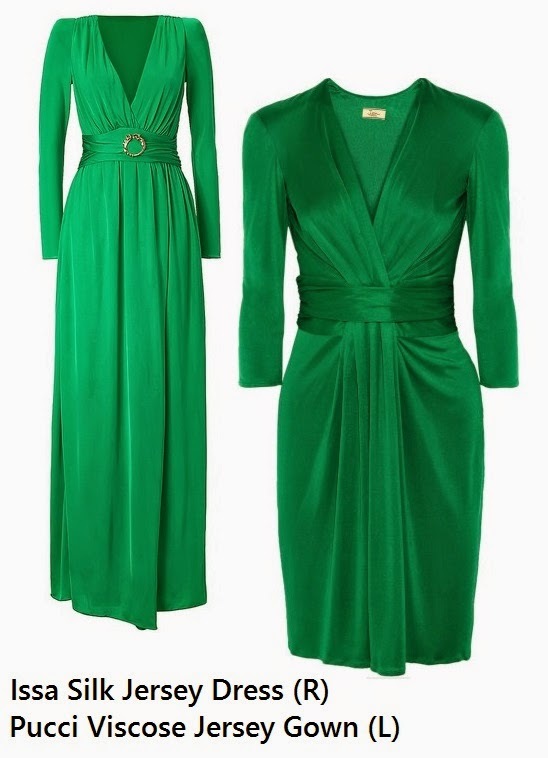 Viscose is simply another term for rayon, and I've sewn up innumerable rayon knits before, but this one made me very nervous since it was labeled "dry clean" AND it's a cashmere knit-- this is the unicorn of fabrics and it's not easy to purchase yardage otherwise. But still I decided to pre-treat my fabric at home after doing a swatch test! 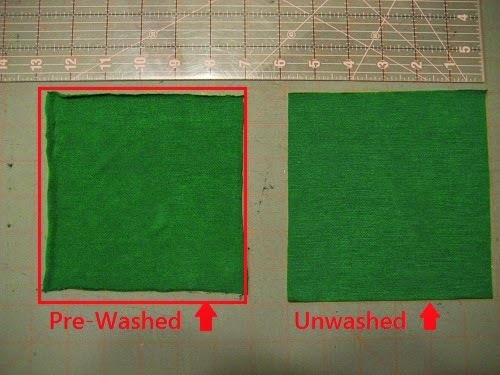 I cut out two identical 6x6" swatches, gently soaked one in cool water with a couple drops of mild detergent for 20 minutes, then laid it flat to dry. To no surprise it shrunk some, but the quality of the material was unaltered! I also tested out the swatches to confirm this fabric presses best at a very low dry wool setting with a press cloth. As for the actual sewing, this stuff went right through my machine and serger no problems at all. None. I used a walking foot on my sewing machine and ball point needles on both. 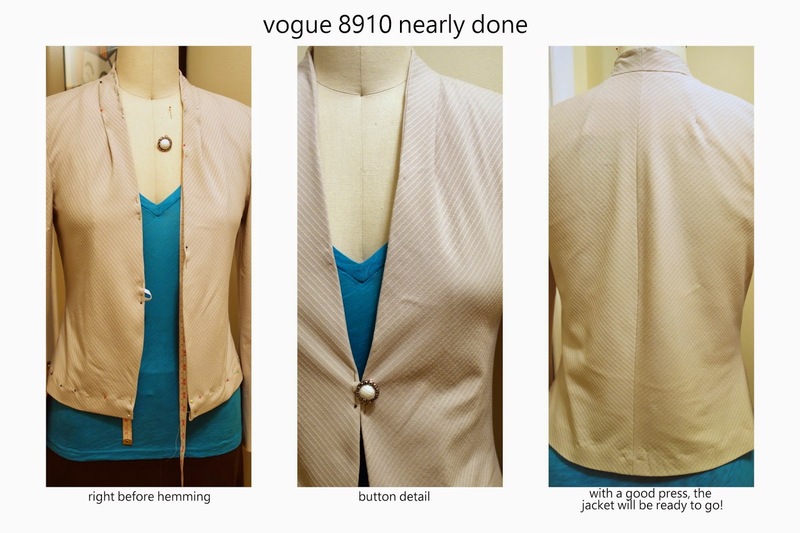 I used Vogue 8921, View B for my pattern. I cut my standard size of 16 but did not need to grade the skirt up by two sizes like I'd normally do to fit my figure-- the skirt is quite full with all of the pleating detail. I also didn't need to lengthen the bodice, skirt or sleeves like I normally would being 5'8" (two inches taller then what Vogue drafts for.) I made a swayback adjustment on the back waist seam on my paper pattern before cutting. I stabilized my shoulder seams with Pellon Easy Knit Tape. This fabric is a little more sheer than I wanted for a dress so I had to underline it. I cut a second set of all the pattern pieces (excluding the sleeves) basted them together and then treated the joined materials as a one piece of fabric. I had *just* enough to underline the skirt but went to my stash and found a grey rayon for the bodice that has a similar hand and weight as my main fabric. You can see all the innards of it in the pic above, I just threw it on inside out on my dress form. I used my serger, but I basted the front center bodice seam with my regular sewing machine instead to prevent the bulk of a serged seam. I also excluded the unnecessary zipper in back. The material has this very, very slight sheen to it reflecting its intense shade of green in such a lovely way-- I hoped my amateur photography skills had captured that and would show up on a screen. I can't lie, this dress is as comfortable as pajamas, it's true. I would run and skip if I weren't wearing heels, but I'm much too lady-like for that. What are you sewing for the holidays?